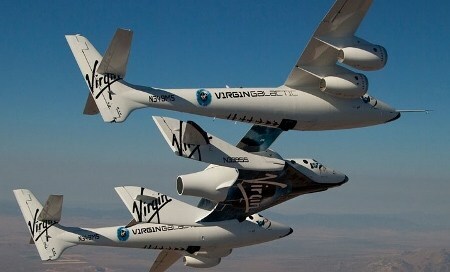 The National Transportation and Safety Board said on Monday that the Virgin Galactic SpaceShipTwo co-pilot, Michael Alsbury, was the one who moved the "feathering" lock/unlock handle into the unlock position after the space plane had been released from its mother ship, WhiteKnightTwo. Although the NTSB said that it could take up to twelve months of analysis before probable cause is determined, premature deployment of the feathering system is a suspected cause in last Friday's crash in the Mojave Desert. Alsbury died during the accident but the pilot, Peter Siebold, was able to eject and survived. "Based on information they have released about their investigation to date, the NTSB has recovered the intact engine and rocket propulsion fuel tanks with no signs of burn through or mid-air explosion. This definitively dismisses the premature and inaccurate speculation that the problem was related to the engine or the fuel," Virgin Galactic said in a statement Tuesday. "The NTSB also evaluated the vehicle’s feathering mechanism, which is the unique technology that turns the wing booms into position for re-entry. The NTSB indicated that the lock/unlock lever was pulled prematurely based on recorded speed at the time, and they have suggested that subsequent aerodynamic forces then deployed the feathering mechanism, which resulted in the in-flight separation of the wings and vehicle."